The blower uses the revolutionary Diamond Radiance Shine system which includes a Diamond infused ceramic grille and Active frizz-control ionic conditioners for silky smooth results. It's rather noisy on max settings. 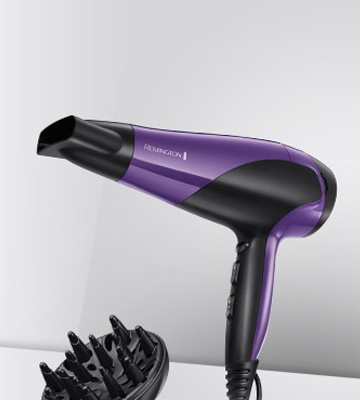 The BaByliss Diamond is a super powerful professional hair dryer which delivers salon-quality blowouts. If you want, you can purchase an extended set with a holder. 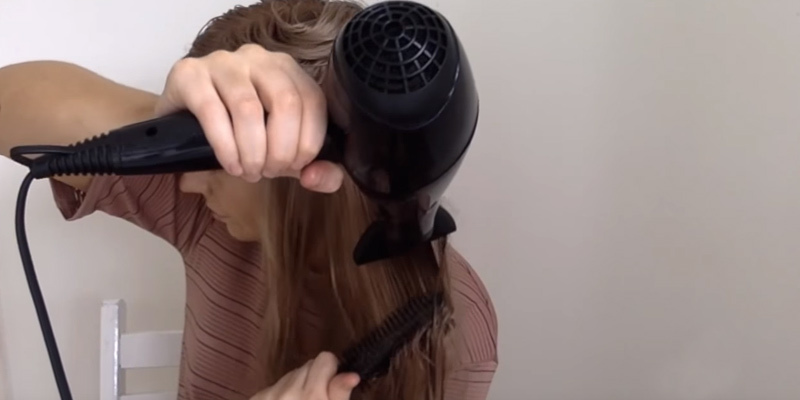 The "heart" of this ionic pro hair dryer is a professional AC motor that is notable for its durability and high-speed operation. The buttons might be touched accidentally during operation. 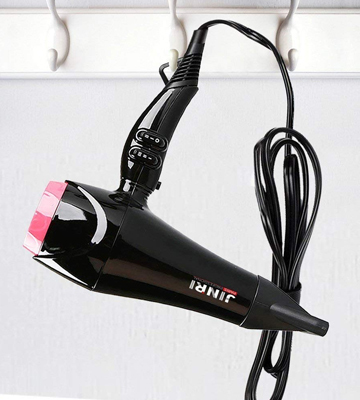 The JINRI 2000 Watts Ceramic Ionic Professional Hair Dryer can quickly dry even thick and long hair. And 4.6-4.8 cm concentrator nozzle will help you tame frizzy hair. The set includes 2 nozzles - a slit concentrator to gently dry the strand by strand and a diffuser for enhancing natural curls and making your hair more voluminous. The shape of the plug is somewhat inconvenient. This stylish Remington D3190 dryer is perfect for any hair type, as it comes with 3 heat settings, 2 variable speeds, and two attachments. So, if you want to experiment with your style, choose this. Due to its extremely light weight (less than 400 g) and ergonomic grip, the blower is very convenient to use. The heat and speed settings can't be combined. 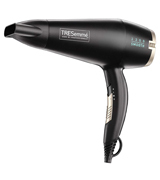 If you need a basic blower for your styling needs, the TRESemme 5542DU is a perfect choice. It boasts tourmaline and ceramic technologies despite its moderate price. Thanks to the compact dimensions and foldable handle, this hair dryer takes up minimum space in a carry-on luggage. The concentrator nozzle could be narrower. 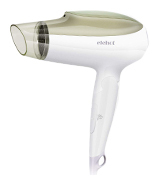 The ELEHOT RD1820 hair dryer is an incredible pick for frequent travellers. It's lightweight, compact, and powerful. It can infuse your hair with negative ions to reduce static and nourish it during any trip. 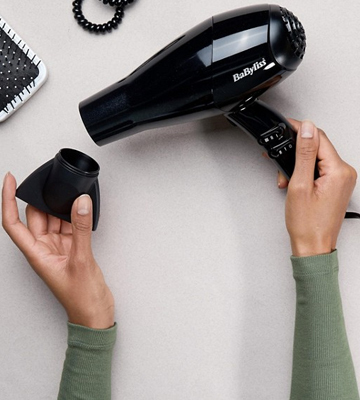 If you are looking for a professional styling tool that can deliver you salon-quality blowouts in the comfort of your own home, the BaByliss Diamond Hair Dryer is your choice. Equipped with a powerful salon AC motor, the dryer ensures fast drying time and silky smooth results. The Diamond Radiance Shine System, along with the 2200-W motor, enriches your hair with active ions that eliminate static and tame frizziness to enhance the natural shine of your hair. The dryer offers three heat and two speed settings for any hair type. Plus, the True Cold Shot can set your hairstyle for a long-lasting effect. One thing we didn't like much about this hair dryer is its package. For a dryer of professional quality, the set could contain more than just one concentrator nozzle and an information booklet. That said, what it lacks in the package, it more than makes up in performance. The included nozzle has an extremely narrow vent which not only ensures faster airflow but also provides greater control over the styling process. Also, because the concentrator has such a slim shape, it is easier to manipulate it in hand. The manufacturer offers this model in two packages - a single piece and with a Command holder, which you can get now for a discounted price. This holder can be a nice addition, especially if you're used to drying your hair in the bathroom. It holds extremely well in humid conditions, making it a great fixture. Two other features we find attractive about the BaByliss Diamond ceramic ionic hair dryer are that it is fitted with a long 2.7-meter power cord, providing more than enough room for comfortable hair drying, and that it has a lightweight design. Convenient in use, gentle on hair. 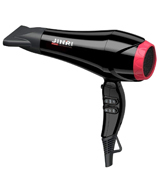 The JINRI 2000W Ionic hair blower is another professional model that can give you radiant hair with a glossy finish. When drying your hair, it enhances the conditioning of your hair and eliminates frizz. The trick is that it uses the Negative Ionic technology along with Tourmaline Ceramic technology. Thanks to this winning combination, your hair will be equally enriched with positive and negative ions to prevent static electricity. Plus, the water will break up quicker, ensuring a reduced drying time. 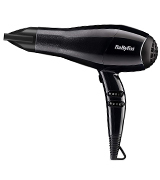 Compared to standard blowers, this mighty one does the job 80% faster without over-drying your hair. Even if you have extremely thick and coarse hair, you can get your hairstyle done in less than 10 minutes. 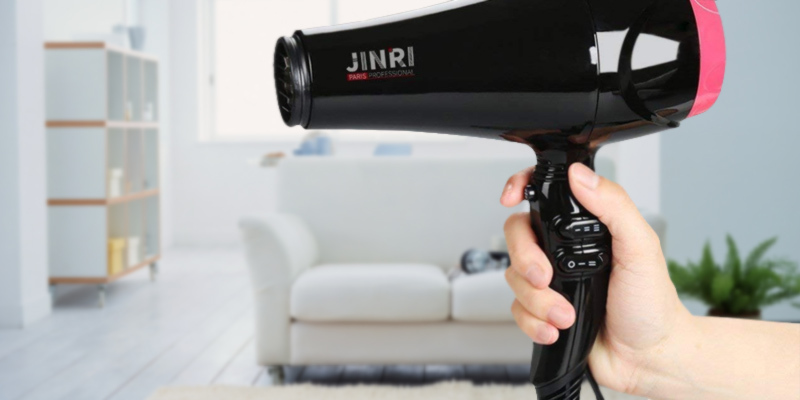 The JINRI ionic pro hair dryer can give you total control over your drying routine, as it features two heat and two speed settings, as well as a cool shot button for finishing your style. The removable concentrator nozzle is also included in the set to give you even more flexibility. 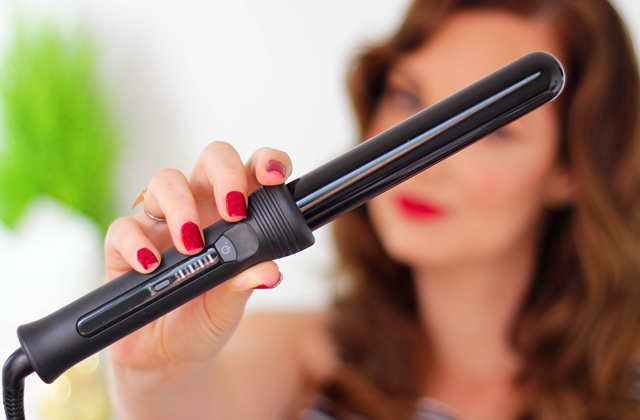 Like many other professional models, this blower has a 2.65-m salon cable with a hang loop for safe storage. Overall, it's a decent model for fast drying of long and frizzy hair. 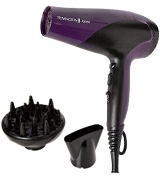 Remington is a well-known brand that produces good-quality hair products for affordable price tags, and the D3190 Ionic hair dryer is no exception. For half the price of other big names, it offers the same great functionality. 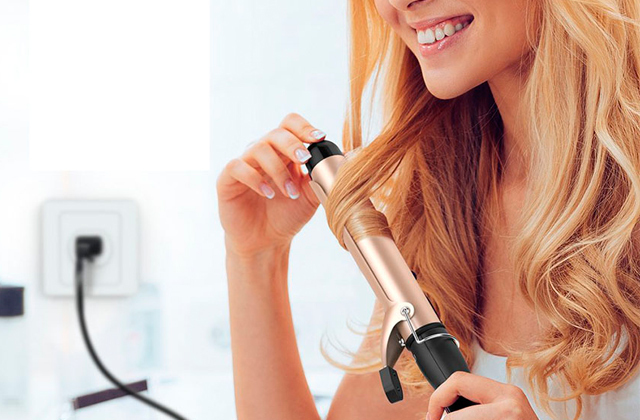 It features three different heat and two power settings allowing users to style any hair type. At the lowest settings, it's extremely gentle and is suitable for fine hair. And like other models with Ionic conditioning, it delivers fast drying results without leaving static. What is notable about this dryer is that it's supplied not only with a concentrator nozzle but with a volumizing diffuser nozzle as well. Both attachments sit snugly without falling off. If you're a lucky owner of naturally wavy hair but your curls tend to turn flat, a diffuser attachment can fix that. Delivering powerful airflow down right at the roots, it'll enhance your curls and make your hair look much more voluminous. 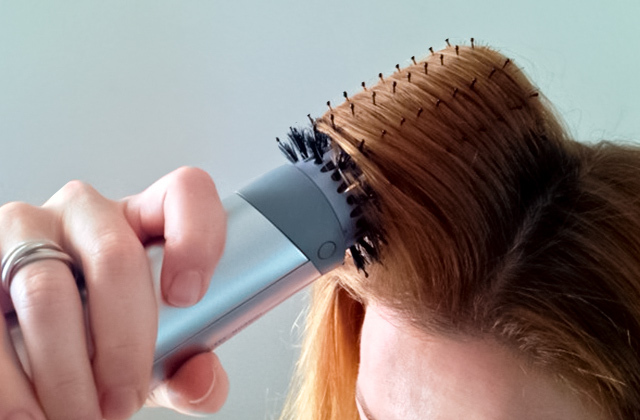 And if you want to make your hair bone straight, you can use a concentrator nozzle. It brings concentrated airflow to each section for amazingly smooth results. In addition, a cool shot function will deliver you a polished and glossy look. No matter what hair type you have, the Remington D3190 will help you experiment with your style. 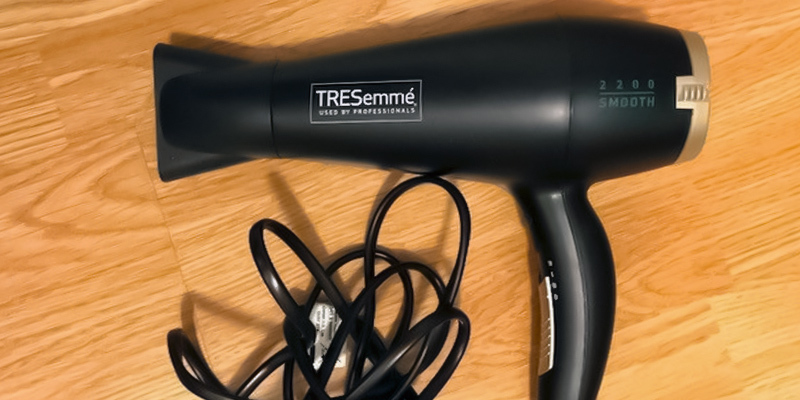 The well-known TRESemme company offers not only professional hair care tools but also some budget options, and the 5542DU 2200W Power dryer is exactly like that. Of course, it doesn't offer numerous speed/heat settings like its more pricey counterparts, however, given its price, we didn't expect it to. It's a basic dryer that will suit those seeking simplicity and functionality. The 5542DU combines ionic, tourmaline and ceramic technologies and contains ionic crystals infused with ceramic to provide smooth blowouts. As we've said earlier, the 5542DU 2200W Power dryer doesn't offer an array of drying options and you will have only two modes to choose from - cold slow or fast hot. However, the hottest setting isn't too hot and the cold setting isn't too cold, meaning the dryer will work for all hair types. Another thing that adds to the usability of the dryer is its surprisingly lightweight design. This model weighs less than 400 g and has a comfy handle which is convenient to hold. All of this ensures that you will be able to dry your hair as long as needed without experiencing hand fatigue. Summing up, we can say that you'll be more than pleased with this blower for its cost. The build quality is very good and the product is covered by a generous 3-year guarantee. So, don't hesitate to buy it if you need a basic model for a reasonable price. If you don't want to compromise on the quality of your blowouts even when you're far away from home, the ELEHOT hair dryer is your choice. 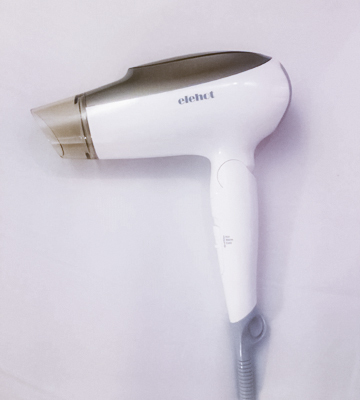 Whereas hotel blowers offer you nothing extra, this little thing can infuse your hair with negative ions to reduce static and nourish your hair for super-smooth results. The appliance boasts 2200W motor that blows a large volume of air steadily and evenly. And this highly-powerful motor is neatly hidden in a compact body. The dryer is extremely small and lightweight, so it won't take much space in your carry-on luggage. Moreover, the handle is foldable for even more convenient transportation. The handle itself has one sliding switch that allows you to choose Cold, Warm, or Hot setting. The Cold air mode is good for locking in your hairstyle, as well as cooling down your hair in those hot summer months. The Warm setting delivers medium temperature for gentle drying, while the Hot mode ensures constant high temperature for fast drying. And the honeycomb design prevents hair from getting caught in the dryer. For easier styling, you can attach a nozzle that's included in the set. It will let you direct more concentrated airflow onto the very section you need. 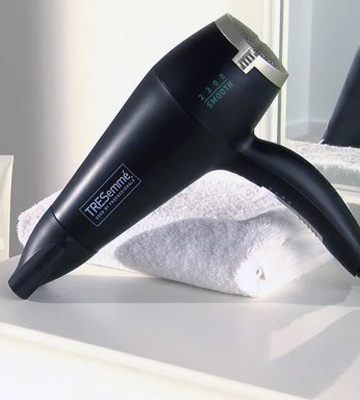 Effective and compact, this ELEHOT portable hair dryer will be indispensable during any trip. 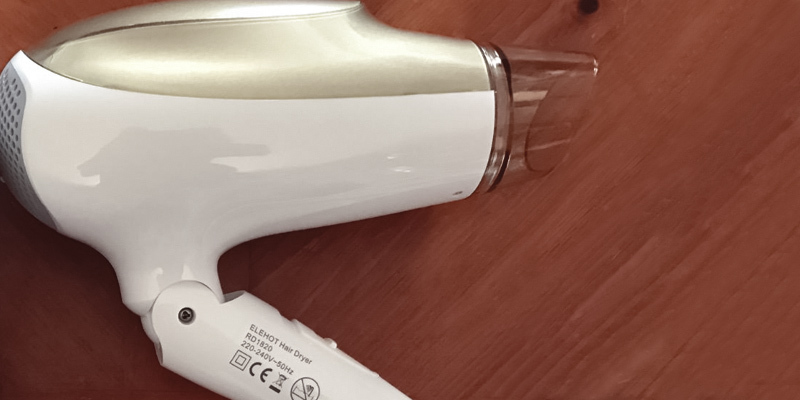 What Is an Ionic Hair Dryer? Speaking of high-quality beauty tools, we often hear about ionic technology. It’s easy to get lost in numerous ionic curling irons, straighteners, and hair dryers sold nowadays. Why, you can even find ionic foot baths on the market. But what’s so special about ionic technology and what are the benefits of an ionic hair dryer? The point is, ionic blow dryers emit negative ions that divide positive ions of wet hair into smaller particles. As a result, the moisture evaporates faster, and you spend less time on hair styling as compared to using a regular hair dryer. 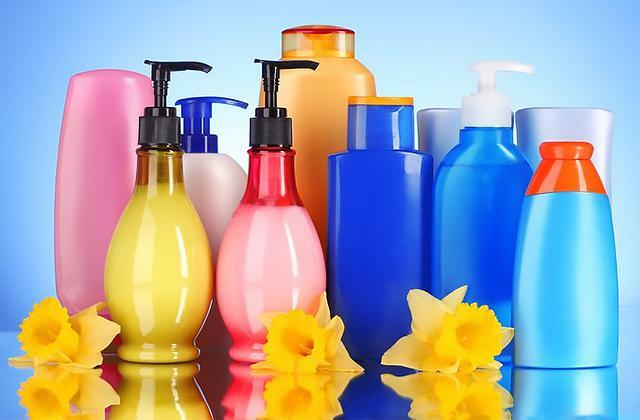 What is more important, negative ions seal hair cuticles retaining the moisture inside every single hair, thus adding volume, smoothness, and shine to your hairstyle. 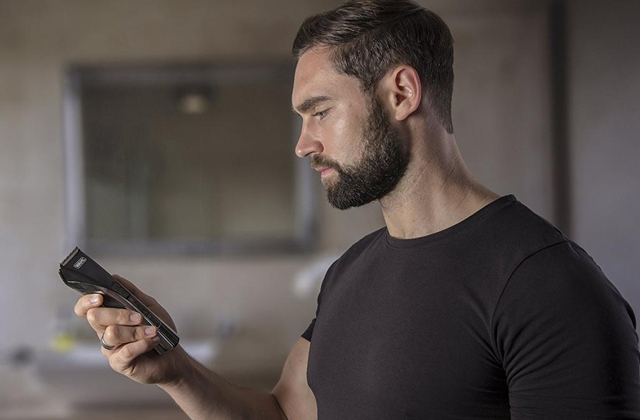 Don’t hesitate to choose one of these premium-class hair dryers to treat your hair to the power of negative ions and make it always look not only beautiful but also healthy.